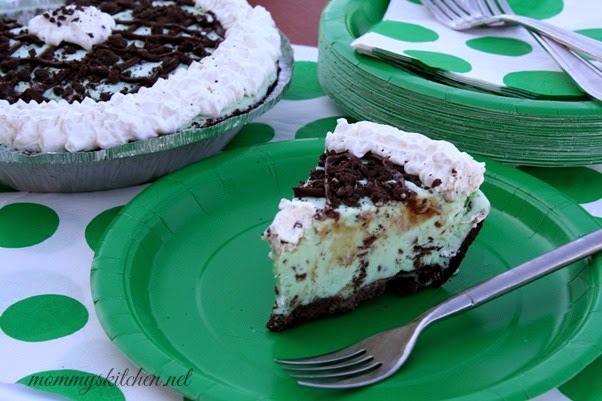 Make this Frozen Mint Chocolate Chip Ice Cream Pie using only 5 ingredients. This recipe starts with a chocolate Oreo cookie crust topped with thin mint cookies, mint chocolate chip ice cream, whipped topping and garnished with hot fudge and additional crushed mint cookies. St. Patrick's Day is 10 days away, and although we don't celebrate every holiday I usually make a treat to celebrate the special day. This month Walmart asked me to share a sweet treat in honor of St. Patrick's Day. 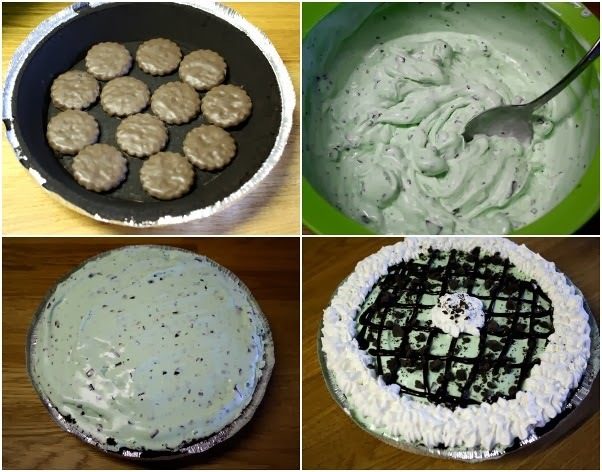 For me when I think of green I immediately think of mint, so today I want to share a festive Mint Chocolate Chip Ice Cream Pie. This is a 5 ingredient recipe that is easy, refreshing and delicious. 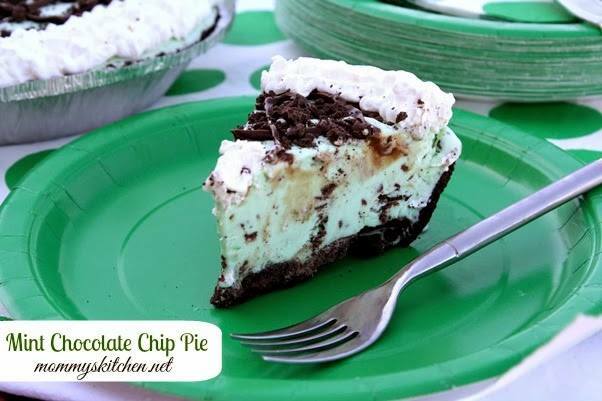 If you enjoy ice cream, hot fudge and thin mint cookies you're going to love this pie. 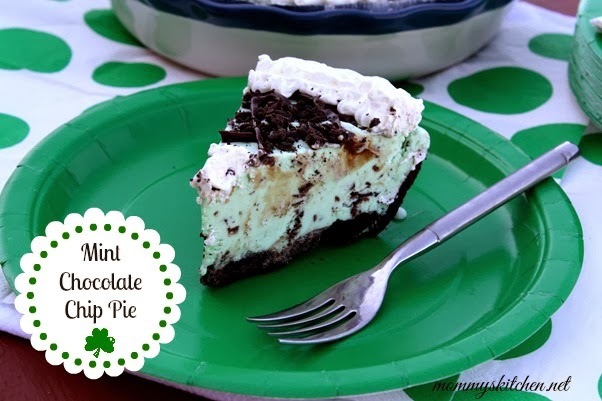 Mint chocolate chip is my favorite ice cream, so I absolutely adore this pie. This recipe is really simple and doesn't take more than 10 minutes to throw together. If you have friends coming over this is the perfect dessert since it's made ahead of time and stored in the freezer. I purchased all the ingredients I needed at my local Walmart. This was my first time trying the Great Value Fudge Mint Cookies pictured below. These cookies taste exactly like the Girl Scout Thin Mint Cookies, and that is no lie. If you love pie and you love ice cream this recipe is a must try! Lets get stared on the step-by-step. 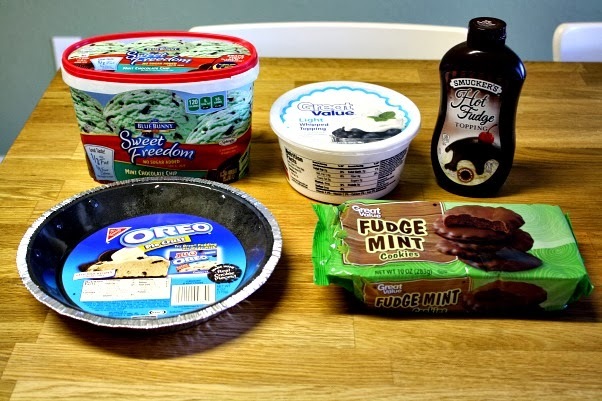 The ingredients you will need: Mint Chocolate Chip Ice Cream (I used Blue Bunny Sweet Freedom Ice Cream with less sugar and carbs), Great Value light whipped topping or Reddi Wip, hot fudge topping, Oreo cookie crust and Great Values fudge mint cookies. Remove from the freezer and drizzle the hot fudge topping on top and pipe with whipped topping (I used a pastry bag with a star tip) or canned whip cream. Add additional crushed fudge mint cookies for garnish. Return the pie back to the freezer and freeze until firm. Let the pie thaw slightly before serving. Soften ice cream for easy spreading. Line the bottom of the cookie crust with 12 fudge mint cookies. Remove from the freezer and drizzle drizzle the hot fudge topping on top and pipe with whipped topping (I used a pastry bag with a star tip) or you can use Reddi Wip. Add additional crushed fudge mint cookies for garnish. Return the pie back to the freezer and freeze until firm. Let the pie thaw slightly before serving. When ready to serve, cut the pie into slices with a sharp knife (warming the knife in hot water may help). 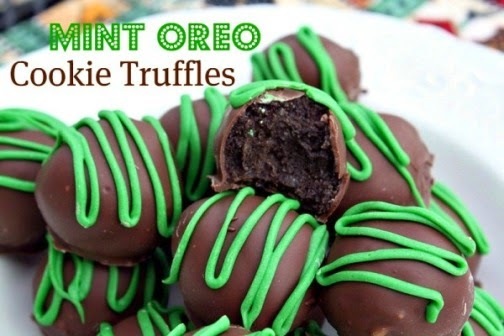 Before I go I also wanted to share these festive Mint Oreo Cookie Truffles that we made last year for St. Patrick's Day. Click HERE to get the recipe. These are my little guys absolute favorite cookie truffles. Yummmmm! I can see the pounds coming on now. Thank you Trish! I know ingredient wise it probably isn't the healthiest, but a treat is permitted now and then. I love mint chocolate chip ice cream, so this pie was divine. Oh Tina!! I absolutely adore everything about this recipe...the beautiful end result...the colors....the mint flavor...that it's 'lightened' ...the ease of putting it all together. PINNED! I am always loving all your recipes! Wow that looks delicious!!! I am going to try that pie asap!